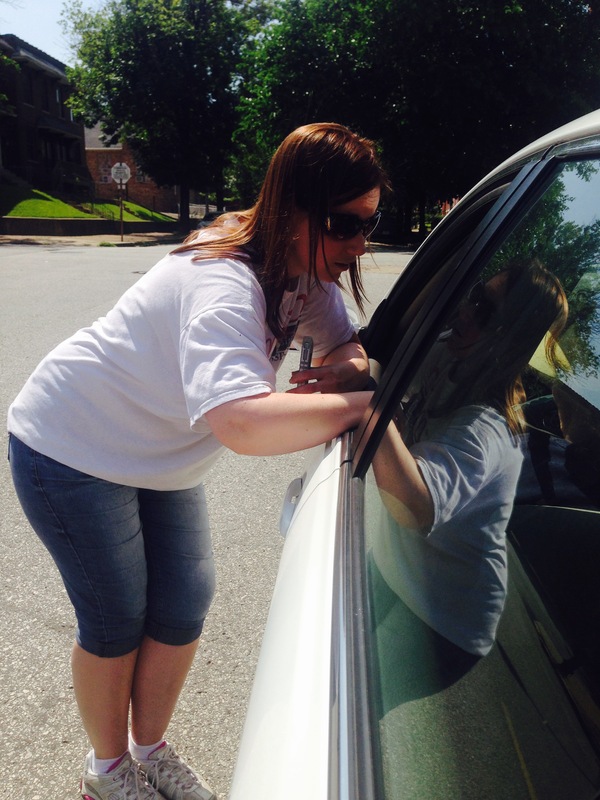 Saturday June 6th, 2015 marked the first official MSP Outreach of the summer. Due to a scheduling conflict, there were no flyers for the upcoming Young Women’s Conference or Hot Sheets at the meeting place, but God still had a plan. After prayer, the team promptly headed out to the streets of Soulard. 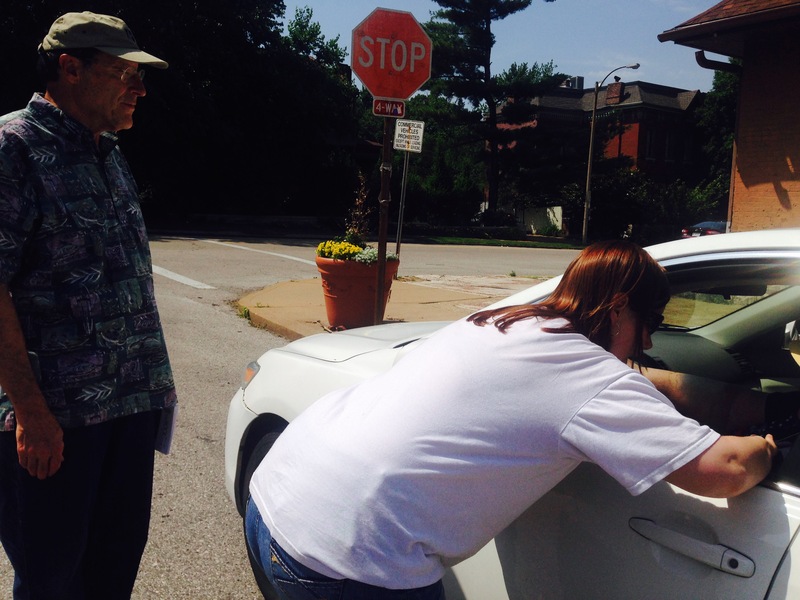 Only one block from the church, Adrienne Ransom and two other volunteers came across a man walking down the street. He seemed highly frustrated as the two struck up a conversation. The man had just had a major fight with his girlfriend, jumped out of her car, and did not know what to do. They had been having relationship issues for some time due to his drinking problem. Adrienne began to pray for him- that God would touch his heart and set him free from the alcohol. As the prayer ended, the man was in tears thanking God for sending help his way at that exact moment. Simultaneously, two other team members- Bill and Mary Neumann, saw this man’s girlfriend crying in her car and had gone over to minister to her. As the three of them talked, the woman explained her situation and how she felt helpless and alone. As Adrienne and the man walked back over to his girlfriend’s car, she felt led to speak to the woman. She explained to her the importance of commitment, communication, and submitting to one another. While they were talking, the man decided to get back into his girlfriend’s car. Next, Adrienne felt led to ask them to re-dedicate their lives to Jesus. Both had the faith, but felt separated from God. They agreed it was necessary to come to Jesus- individually and as a couple. With tears streaming down their faces, the man and his girlfriend came back to Christ that day as the entire team surrounded them in prayer. The couple plans to keep God at the center of their lives and to start attending the Rock Church in Soulard together. Despite the conflicts at the beginning, God still had a plan to reach that couple as the team obeyed His leading out on the streets. God will always turn a mess around for the best, if you allow Him. For more information about MSP outreach and events this summer please click here! During Summer 2014, Men Standing Positive hosted two conferences in the Saint Louis area at the Rock Church in Soulard. First, the Young Women’s Conference on June 7th and it was MSP’s first Women’s Conference ever. Candice Lauer was the first speaker who was able to relate to the women on all levels. Many were touched, effected, and delivered. Mike ‘MiNiMe’ Wuebbles was a surprise speaker and delivered a powerful Word from God entitled “Am I A Christian?”. Two women were delivered and four people were placed in assistance programs. In addition, the Rock Church and Feed My Peeps provided food, which allowed us to have a great fellowship directly following the messages. Next, on August 23rd, MSP hosted the Total Transformation Conference with speaker Pastor Frank Jackson. All attendees received timely instruction that Jesus truly is the author and finisher of lasting change in our lives. Without our choice to accept His guidance and ability, all attempts to gain freedom from addiction and harmful habits will fail. Only the conscious choice to make Him and the Word our number one priority will set us free. It is all about God’s transforming power working on the inside of us and none of our own futile efforts. The choice is yours. Afterwards, the Rock Church again provided delicious food for dinner following the message. Click here for promo video of the Young Women’s Conference and click here for a video of the Total Transformation Conference. In the near future, be on the lookout for DVD recordings of the conferences that you can purchase via our website www.menstandingpositive.com or at an upcoming main event! For more information, questions, or concerns, please email office@minimemsp.com or you can reach out to us via a contact form on the main website. We hope you can join us at our next conference!